Kenda Tire is a leading North American distributor of tires and tube products for automobiles, bicycles, lawn mowers, motorcycles, trailers, and wheelchairs. 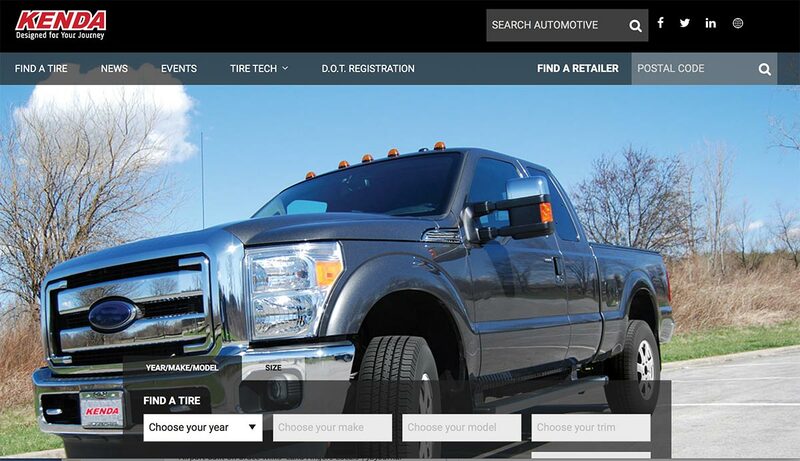 Founded in 1962, Kenda Tire established its US presence in the early 1980’s and is headquartered in Columbus, Ohio. Kenda has enjoyed a strong ride of growth and expansion. In 2014, the company overhauled its IT infrastructure to keep pace, as the organization grew from 7 to 11 offices nationwide over the past several years. Over the past 10 years, they have doubled their network users. Over the past 2-3 years, they have greatly expanded their e-commerce footprint. Despite network changes and complexity, Kenda’s IT responsibilities have been managed by one internal person — Steven Schaar, the Information Technology Manager. Schaar has outsourced his “IT staff” to Affiliated who handles everything beginning with basic user support as needed, network admin services, backup and security resources, to engineers who are able to troubleshoot system and network issues, as well as manage other projects, in addition to providing IT strategy guidance. Not surprisingly, as Kenda’s business grew, so did their reliance on Affiliated. Between IT overhauls, upgrades, and daily troubleshooting, the work and costs began to tally up. Kenda needed additional support for their growing IT needs, to reduce IT administration and support costs, all while finding a better way to plan for future IT investments and expenditures. As a partner, Affiliated realized the need to provide a more cost effective, long-term solution to meet the client’s needs going forward. Affiliated recommended two network infrastructure management programs to accomplish Kenda’s goals — its Engineering Services and Support Agreement (ESA) and its 12Q Planning Process. Affiliated recommended its Engineering Services and Support Agreement program, (ESA); a flexible program designed to formalize needed services to assist with back-end and network admin responsibilities, along with additional services to help organizations with small internal IT teams to accomplish their goals in a cost-effective manner. The program is designed for each customer, and focuses on identifying the functions that can/should be off-loaded from internal staff, and offers varying levels of support to assist with ensuring that user needs are met in an efficient manner from a team of skilled, experienced resources. For Kenda, the ESA program’s cost benefits were substantial, with roughly a 30% savings over hiring an internal team. The ESA program also provided virtually instant access to the team of engineers at Affiliated. With 11 locations and multiple lines of business incorporating over 225 users, this agreement makes sure that if Kenda has an urgent problem, Affiliated is able to respond rapidly. Following the extensive five-week IT assessment, Affiliated brought Kenda USA back in compliance with industry "best practices" for a state-of-the-art IT network. To begin with, Affiliated consolidated the 12 existing servers into 3 Dell R630 host servers and an Equallogic 6110 SAN, reducing the server footprint and saving dramatically on new hardware, energy, and operations costs. Using VMware® virtualization software, Affiliated was able to complete the server consolidation and upgrade key and install new applications – including Microsoft Exchange, and Citrix® XenApp™ for remote desktops – without any downtime. "That was important to us—we couldn't afford to shut down the network, even briefly," Schaar recalls. Many of Kenda’s sales and distribution operations, for instance, are increasingly involved in e-commerce, doing business with the Amazons and Home Depots of the world. Much of that information is time sensitive. If something isn’t working, they don’t have days to figure it out—they have hours. As a priority client, Affiliated is able to troubleshoot any problem quickly and efficiently. Typically, under the ESA program, the Affiliated team attends to the “nuts and bolts” in the network that the internal team at Kenda doesn’t have time to deal with anymore. For instance, Affiliated recently oversaw and executed a complete renewal of the company’s firewall systems. At the same time, Affiliated is also working to upgrade Kenda’s Microsoft Exchange and Skype for Business servers to the current versions. Kenda is also using the ESA program to tackle those IT projects that never seemed to get finished, such as updating documentation of the network, as well as monitor and patch all of Kenda’s hardware and software. Before, this was more a manual operation; now Affiliated automatically monitors the servers, workstations and laptops, and automatically addresses any issues before they become a problem. Reports are issued to keep Kenda apprised on regular basis. Kenda also implemented Affiliated’s 12Q Planning Service, which helps Steve and Kenda to look ahead 12 quarters to plan for all of their IT expenditures - hardware and software upgrades, and regular IT expenses and contract extensions. The planning and budgeting tool gives management a head’s up on needed capital expenditures a year or two in advance. They also can see all of their expenditures, and with quarterly reviews, are able to make sure they are spending their resources more effectively to stay aligned with the business needs of the company. "Under the ESA managed services program, Affiliated has taken a lot of work off my plate so I can focus on bigger priorities. It has allowed me to be more proactive in managing the health of our IT infrastructure, and provide support to our users much faster. Whether working with me on a big IT project, keeping us updated, or troubleshooting a small Help Desk issue, this program makes it much easier and more affordable for us to provide the IT systems and support our users need and expect, to focus on their jobs"
A leading North American rubber and tire products distributor needed additional support for growing IT needs, to reduce IT administration and support costs, while finding a better way to plan for future IT investments and expenditures. Affiliated recommended two network infrastructure management programs to accomplish Kenda’s goal — An Engineering Services and Support Agreement (ESA) and 12Q Planning Process. The ESA contract provides needed IT Network admin management services, access to skilled resources to address needs and issues, regular review meetings with Kenda’s leadership. This saves Kenda thousands of dollars a year on potential tools, operations and management processes, and internal resources. The 12Q Planning Process allows management to plan 12 quarters of IT needs (expenditures and investments) in advance, providing leadership visibility into projected IT needs for better alignment with the company’s overall business goals. "Affiliated is expert at analyzing your business and IT systems and then crafting a managed services agreement that focuses on the best, most cost-effective way to address and improve IT for our organization - now and into the future. They’re an invaluable partner to Kenda."